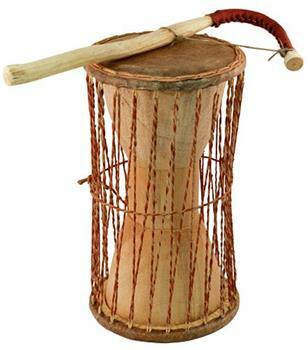 A talking drum is commonly an hourglass shape percussion instrument primarily originated from West Africa. This musical instrument can mimic the unique tones and prosody of a human language. Generally, it has two drumheads (one at the top and bottom, which both can be played) and these heads were connected by tough cords. The matter of modulating the pitch has something to do on how you strike the head and squeeze the cords. 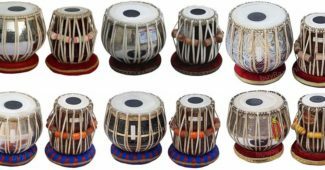 Many people were interested and curious how do these drums produce talking sounds hence, to know more about their details and for those willing to buy, you may try to read this context and learn their characteristics. 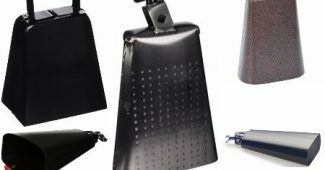 You may select among these brands such as Meinl Percussion, Overseas Connection, African Heartwood Project, Toca, and Remo. 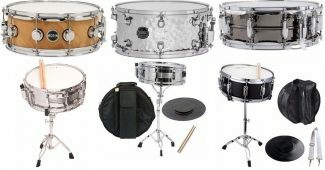 What should you consider when purchasing talking drums? Meinl Percussion ATD-L Check here! Classic Heartwood Dondo Check here! 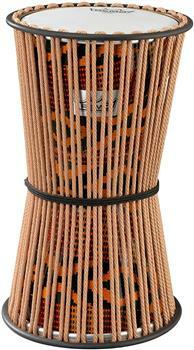 Improved your classic drumming skills with this amazing talking drum brought by Meinl Percussion. The head of this musical instrument was made using Goat’s Skin and the solid pieces crafted with flexible Mahogany wood. What’s more awesome in this percussion, it’s made with pure handicrafts for a traditional style and tune. 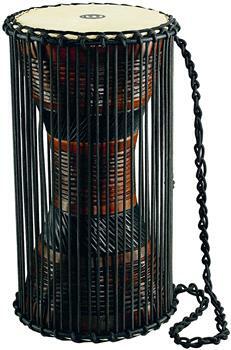 The ropes surrounded in the hourglass instrument were derived from a nylon material. This is played by holding the ribcage and places beneath one arm. It is squeezed to produce the bending sound of the pitch and the other hand will perform the curved striker. 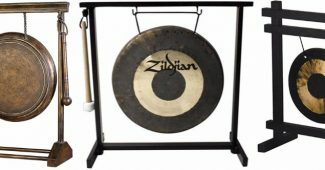 This classical percussion instrument only comes at a very affordable price so it is really convenient for the beginners and curious people who want to try this drum. Take time to read the reviews of this product invented and innovated by Overseas Connection. This product was also known as ‘Dondo’ in Ghana and a musical influenced by the African traditions. Obviously, it is surrounded by synthetic twisted color-coded (brown and burgundy) cords to make it more durable and attached to the hourglass drum. It is typically played by squeezing it under the arm and simultaneously striking it with the other hand using a curved striker or beater. 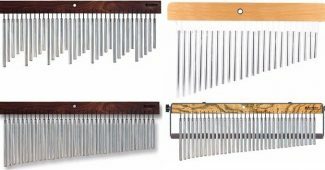 It can create a variety of range tones and expert percussionist of this instrument can actually mimic the tonal language and make it possible for the drum to talk. Moreover, the appearance of this drum was inspired by wooden and ethnic look to make it appear really traditional in style. It is also cheap as to its price and a nice instrument to start with your practice. Handcrafted by the famous artisans of West Africa in their Africa Heartwood Project association. 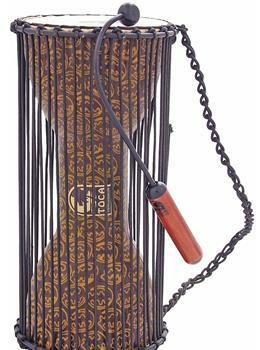 It is built using the Nyame Dua Wood which makes it durable and flexible when played. The vertical cords were made using synthetic material and goat’s skin. In addition, it provides a great volume and deeper tones to bring out an impact in your musical compositions. 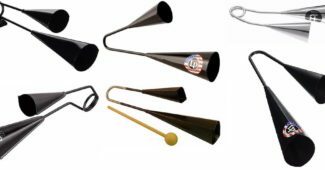 A nice instrument to teach in school, for practice, recreational activities, and for understanding the traditional music of Africa. When it comes to its price, it’s a bit expensive than the rest of the products reviewed in this article but a high five for its quality and versatility features. 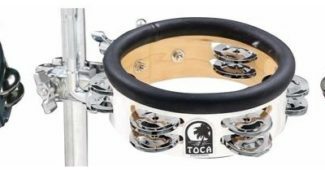 Quality made by the artisans of Toca, this percussion instrument have tonal variations when it comes to its pitch depending on how you play this percussion instrument by squeezing and releasing the cords as well as by using the beater. 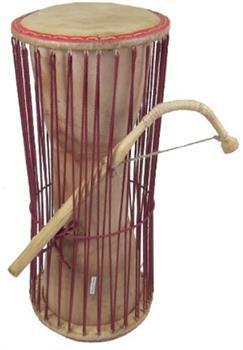 The strings were typically nylon made and the head of the drum was built using the genuine goat’s skin. It is extremely durable, synthetic, and lightweight shell. As you can see, the appearance of this instrument seems modernized as compared with the other products mentioned, it has Aztec designs on the hourglass and color combinations were sophisticated. In addition, the curved beater is also modernized to make it compatible with the look of the drum. A great way to practice your tribal music using this Toca inspired Talking drum. Consider this talking drum in your bucket list especially if you prefer something modernized style of this percussion instrument. It consist of tough vertical cords with a brownish color and the heads of this musical instrument were made using a strong synthetic material. The covering of the shell was hand crafted using an African fabric in Aztec and striped design combinations. 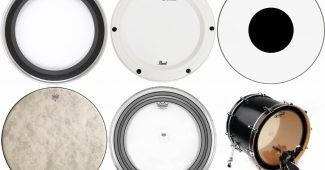 It is the most expensive drum among all the products reviewed due to its quality and contemporary look. It’s worth the money to purchase for. Getting excited what musical instrument to choose? Well, you have to carefully analyze first the things that you should know before buying any of these products so that you are satisfied with the item that you will be purchasing. Some heads are synthetic and animal-made skin so it depends upon the percussionist whether what type of material that she or he wants for his/her drum. An animal made skin will definitely produce traditional and deep sounds while a synthetic one might have a clasp and high pitch. Check the cords whether these were made using a nylon or a synthetic material. 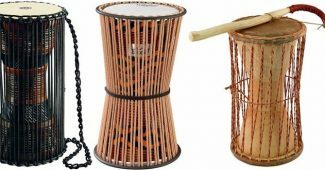 Both of these materials are water resistant and versatile hence, any of these might be good in choosing a talking drum’s cords. 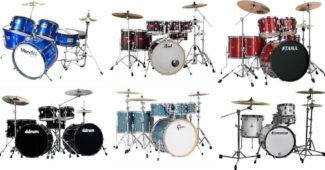 You may visit a store and have a try on their drums so that you will have a better understanding as to its sounds. You may also listen to a video clip to know how the sounds produce. Well, this is a matter of a personal judgment since you will compare which talking drums you will like, let’s say the classical or a modernized one. This is a self-based preference so any of which as long as the buyer is satisfied as to the outlook and style of the musical instrument.